Airbus Australia Pacific has confirmed it has responded to the Commonwealth’s request for information (RFI) for Army’s Project LAND 2097 Phase 4 light deployable special forces support helicopter with its H145M. Under the project, the Army requires at least 16 helicopters for urban special forces operations and that can be deployed rapidly via Royal Australian Air Force (RAAF) C-17A transports. The new helicopter will complement the larger machines currently operated by the Army’s 6 Aviation Regiment (6Avn) at Holsworthy in Sydney, which is currently transitioning from the S-70A-9 Black Hawk to the Airbus MRH90 Taipan. The new helicopter’s primary mission will be to support small-team air assault by special forces, but will have the ability to be rapidly reconfigured for utility, ISR, and fire-support roles. It is envisaged there will be four troops of the light helicopters, each with four helicopters. Mathewson started as Airbus Australia Pacific managing director in January 2019. Previously, he was the head of helicopter systems division at the Department of Defence’s Capability Acquisition and Sustainment Group (CASG). Last July, Airbus revealed it had modelled the ability to fit four H145M helicopters in a C-17 cargo hold and to be able to unload them to be ready to fly within 30 minutes of landing at a deployed location, but declined to say which customer it was modelling it for. The H145 was formerly designated EC145 which itself was a development of the Kawasaki/MBB BK117 helicopter. The machine has been continuously improved over the years, most notably with the addition of a redesigned forward cab, advanced Helionix avionics, more powerful engines and dynamic components, and a shrouded fenestron tail rotor. 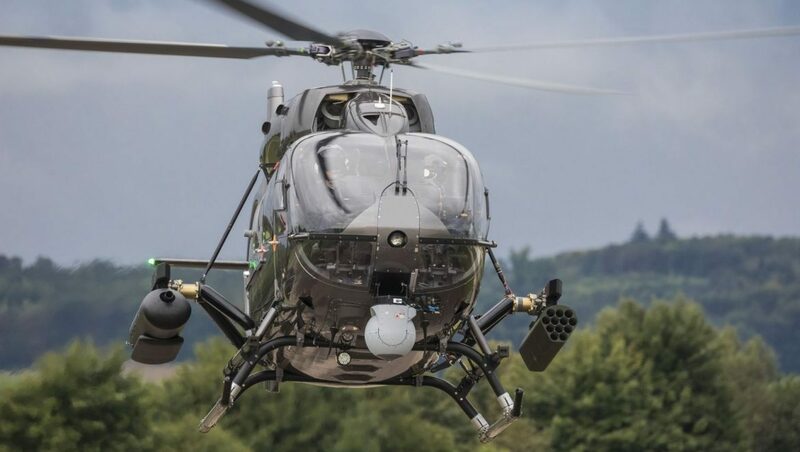 Other possible responses to the four-tonne LAND 2097 Phase 4 requirement are expected to include Boeing with its AH-6i Little Bird, Bell/BAE Systems with the Bell 407GX/GT or the larger Bell 429, and possibly Leonardo with its A119. I say go the little birds, Does the government really want the headaches we had with the Tiger and NH 90 again. The AH 6 is a proven capability for this role. Sure if you want a little Bird. But you’re assuming SOCOM do…. Like the H145M but I hope they offer it with the new 5 blade rotor. Think it’s the best option out there overall. For the love of god, ADF do no go for one of these lightly built commercial derivatives, aquire a dozen apache helicopters and get what you need, purpose military attack helicopters. Transfer Tigers for this purpose. Scott please do some Homework, this is not the Tiger replacement. That happens middle of next decade. This will be a lightly Armed Light Utility Helicopter for operating with the Special Forces, the main role will be to put a 4 man SF team on the ground, how do you propose a 2 Seat Attack Helicopter is able to achieve that? The Armament will be for supporting that team, not doing Battlefield Recce or Anti Armour Missions. The Army badly needs a lt Utility Chopper to replace the capability lost when the Tigers replaced the Kiowa. AH6 ? why not MD540F which is the real Littlebird.. Honestly after the collective debacles of the H135, the Tiger and the MRH 90 in Australian military purchases they would be stark staring mad to buy the H145M, that pretty well guarantees that it’s going to happen. As much as I love the AS350/H125 which are fabulous machines, most of the other helicopters that Airbus makes are complete turkeys, especially the comical H135 (which I fly most work days). American made helicopters are proven to be much more resilient to a combat environment and are nowhere near as fragile as their european made counterparts. Westlands AW159 would be perfect for this!